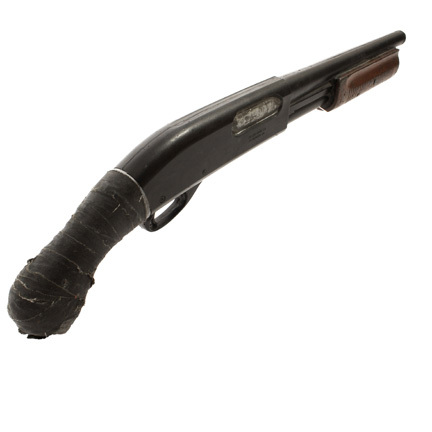 This non-firing prop shotgun was used by the character "Eli," portrayed by actor Denzel Washington, in the 2010 motion picture, "The Book of Eli." 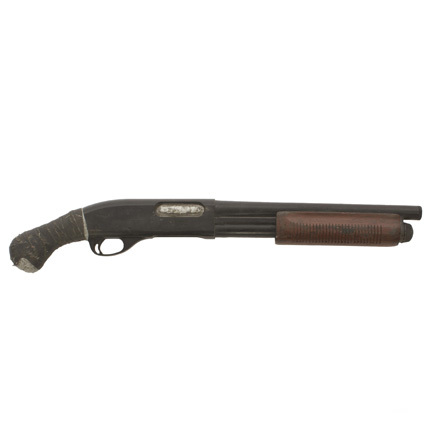 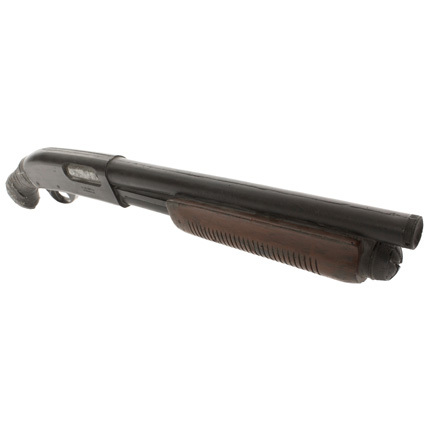 The prop weapon is modeled after a short barreled Remington 870 "Witness Protection" shotgun and is constructed of dense rubber with hand painted details to simulate the appearance of a live firing metal weapon. 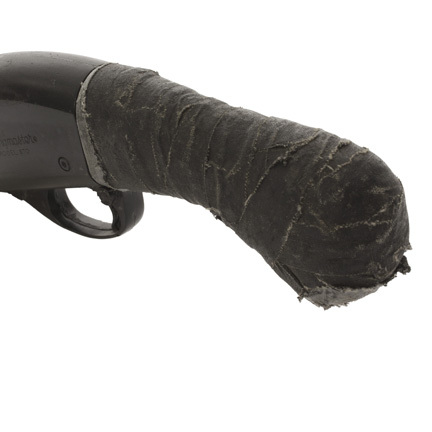 The shotgun has a heavily taped handle with various weathering to look like an antique firearm (film takes place in a post-apocalyptic world). 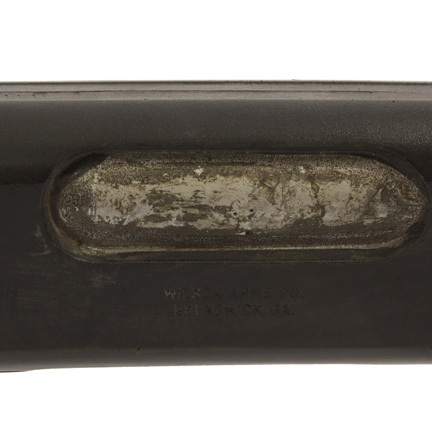 Mr. Washington is seen carrying or using this prop weapon throughout much of the film. 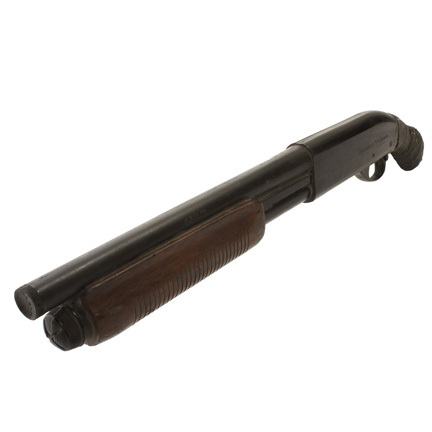 From the beginning of the movie when he is walking through the wasteland with the shotgun sticking out of his backpack, to the various action sequences, the shotgun is never too far from his grasp. 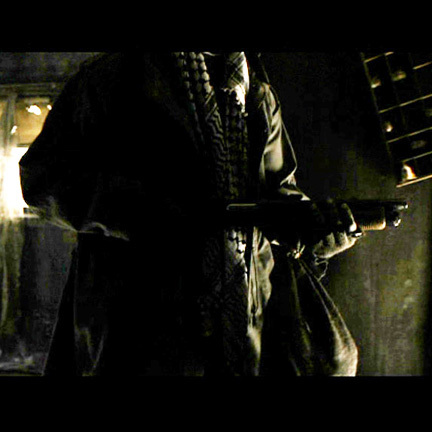 At the end of the film, Solara (Mila Kunis) is seen carrying off with the weapon. 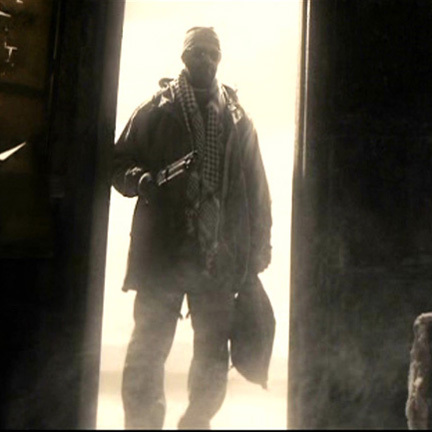 It is also seen in most promotional images for the film. 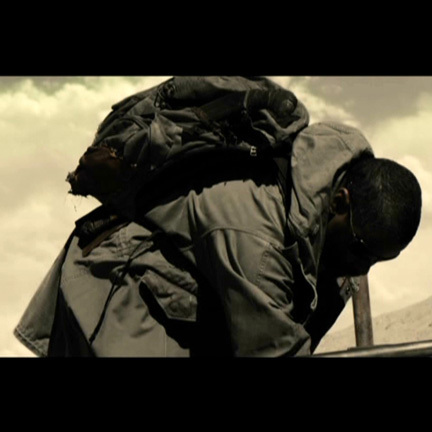 "The Book of Eli" follows the story of Eli, a nomad in a post-apocalyptic world, who is told by a voice to deliver a mysterious book to a safe location on the West Coast of the United States.